The real estate market is booming, and many homeowners are using it as an opportunity to renovate or remodel their homes. But if you’ve never taken on a remodel project, it can be more challenging than you realize. By planning ahead, you can increase your chances of getting the results you desire. Every few years, styles come and go. If your home hasn’t been redecorated or redesigned in the past decade, then it probably looks dated. By tending to these needs, you can increase the appeal and value of your home. 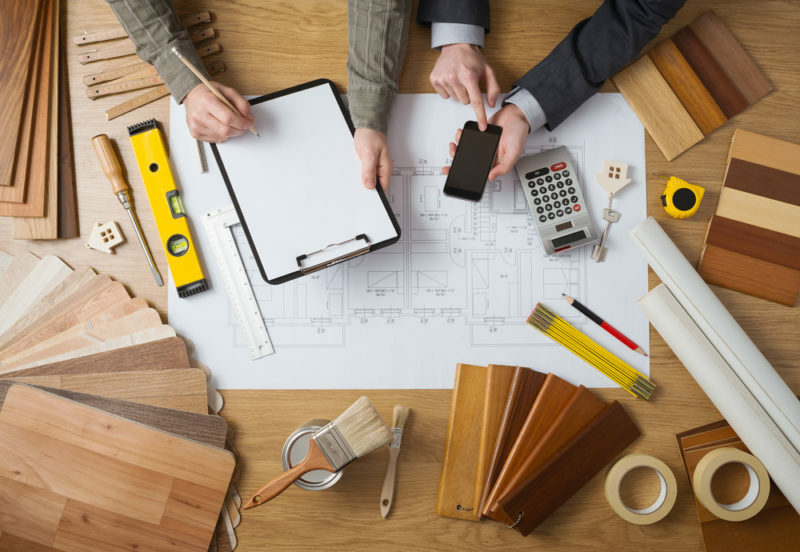 For your remodel to go smoothly, you’ll need a strategy. Here are a few simple tips to increase your chances of achieving a desirable outcome. It’s imperative that you begin with the end in mind. In other words, you need to start with your end objective and work backward from there. For example, there’s a huge difference between remodeling with the intent to immediately sell and remodeling with the goal of making your house more livable for your family. In the former situation, design choices would be determined by popular trends. In the latter instance, you would tailor all the choices to your family’s specific needs. Make a list of the three to five main goals for your renovation project and filter every decision through these objectives. It’ll clear up your list of priorities. Before you get too far along with your planning, you have to consider the financial feasibility of a remodel. This depends on a few factors. “Once you’ve zeroed in on a project, the next question is whether you have the money. If you’re paying cash, that’s easy to answer. But if you’re borrowing, you need to assess how much a bank will lend you and what that loan will add to your monthly expenses,” home improvement blogger Oliver Marks writes. For borrowers, there are typically three options: cash-out refinance, home equity loan, or home equity line of credit (HELOC). And just because you qualify for a certain amount of money, doesn’t mean you have to spend it all. It’s easy to price yourself out of your neighborhood with too many upgrades. Anybody can handle a small renovation project on their own, but if you’re doing extensive remodeling in multiple rooms, you absolutely need to hire an interior designer. There are several ways to find a designer. In addition to asking friends for referrals, look around online. Sites like Hometrust give you a chance to search for designers based on budget, reviews, ratings, and more. Take scheduling into account. If you’re planning on having your family over for the holidays, you probably don’t want to start a kitchen renovation in the middle of November. If you enjoy using your backyard during the summer, it’s probably best to do an outdoor living addition during the winter months. Strategic planning goes a long way. Never start a remodel project without getting as much information as you can written into a detailed contact. It’s one thing to want to remodel your home. It’s something else entirely to do it. Before proceeding any further, you need to be honest with yourself about whether you’re ready to commit to what could be an extensive and draining process. Depending on how big the project is, you could be talking about many months of disruption before the final product is complete. Keep this in mind and don’t start until you’re ready to give it your all.